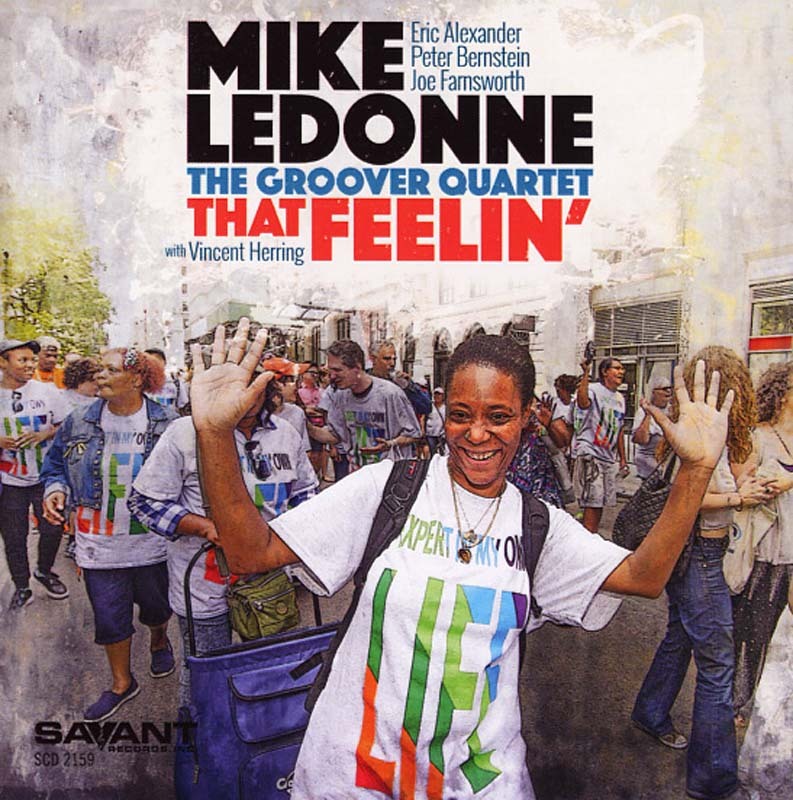 Organist Mike LeDonne’s Groover Quartet makes a soulful noise on That Feelin’. LeDonne, tenor saxophonist Eric Alexander, guitarist Peter Bernstein and drummer Joe Farnsworth have been doing their thing together since 2004, and this album displays their seasoned chemistry, with a brash, full-bodied sound that wouldn’t be out of place on a late-’50s Blue Note release. LeDonne seems equally comfortable offering deftly galloping runs, like his full-speed-ahead solo on Donald Byrd’s “Fly Little Bird Fly,” or coaxing gentle bluesy chords, as he does under Bernstein’s coolly heartfelt phrases on “At Last.” The organist and Farnsworth are a potent pair, most notably on “A Lot of Livin’ to Do,” where LeDonne clears the harmonic floor for Farnsworth to uncork masterfully understated cymbal-and-snare pyrotechnics. Even when pirouetting through his most intricate phrases, as on a smooth-cooking rendition of the Delfonics’ “La-La Means I Love You,” Alexander’s brawny tone never wavers, giving this album much of its old-school hard-bop appeal. Bernstein brings supple shadings to “This Will Be (an Everlasting Love),” and on the title track his licks slice through Farnsworth’s beat with pinpoint precision. Alto saxophonist Vincent Herring joins the quartet for a trio of tracks. “I’d Never Change a Thing About You” is a LeDonne original dedicated to the organist’s daughter Mary, who inspired him to found the non-profit Disability Pride NYC. The tune is pure joy, with LeDonne throwing down exultant all-over-the-keys runs and Alexander, Herring and Bernstein swinging like mad. Herring’s blistering cries galvanize a fine-and-mellow take on Ray Brown’s “Gravy Blues,” and LeDonne’s “Sweet Papa Lou,” a tribute to alto saxophonist Lou Donaldson, finds the saxophones singing out a playful unison melody over LeDonne and Farnsworth’s peerless groove. If That Feelin’ can’t make you feel and move, you just might want to check your pulse.